Learn to count down from 10 and then back again with 10 Little Snowmen. Journey with the snowmen on an adventure to visit Santa at the North Pole. Count them as they go, in case they get lost on their around-the-world trip. 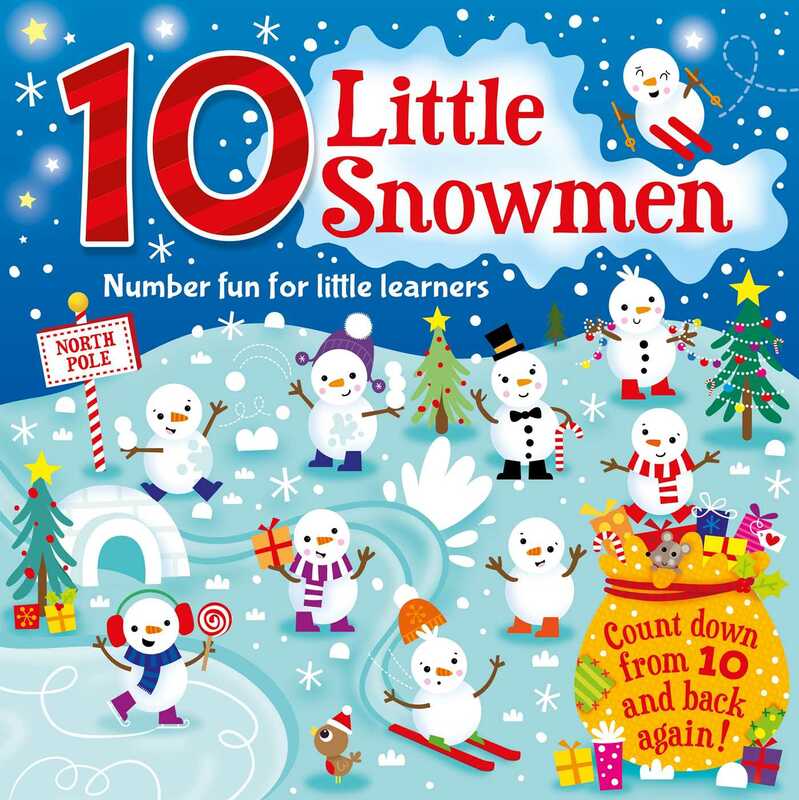 With eye-catching illustrations, 10 Little Snowmen is both an ideal counting tool and the perfect storybook for children.